JurassiCraft is a mod based on Jurassic Park on Jurassic World franchises but is not only limited to it. This mod allows you to create dinosaurs by extracting DNA from fossils and amber, and putting that through a process until you get a baby dinosaur! 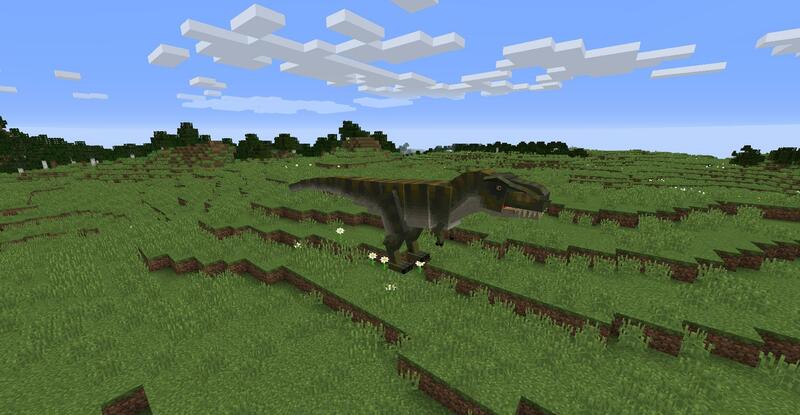 Not only does this mod add dinosaurs, it also adds many prehistoric plants! Confused how to use this mod? Visit our wiki! It contains all the information you will need to create your very own dinosaurs! 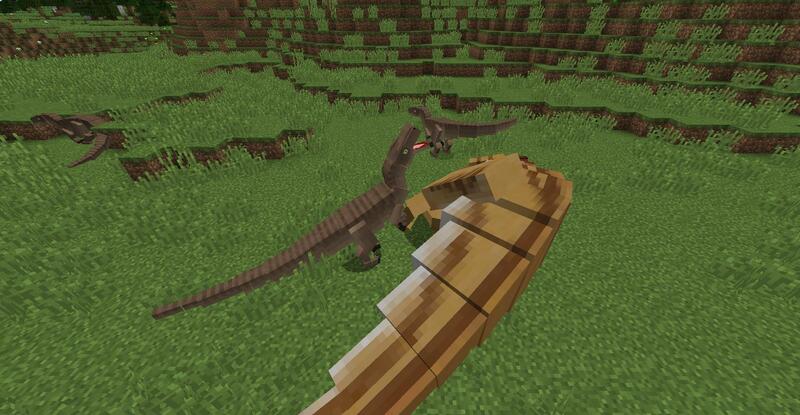 Currently, this mod contains only 10 dinosaurs, but more will be added in the future! If you would like to join our Discord, where you can talk about the mod with us, see update progress, and even get some sneak peeks to features coming in later updates, you can join here! 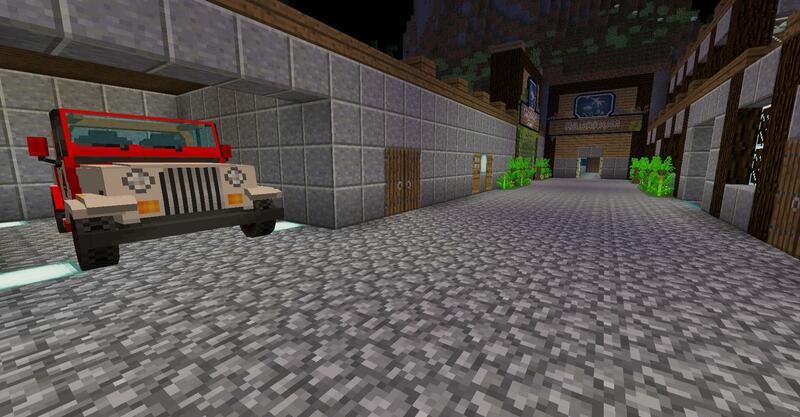 Come Join our 24/7 Official Server @ mc.jurassicraftmod.com! This project is sponsored by Nodecraft. Use code JurassiCraft for a 30% discount off your first month of service! This project is sponsored by Sparked Hosting. Use code JurassiCraft for a discount! Click here to check them out! If you enjoy JurassiCraft and want to support the development of the mod, you can click here to be taken to our patreon! Thanks for the support. Dinosaurs! 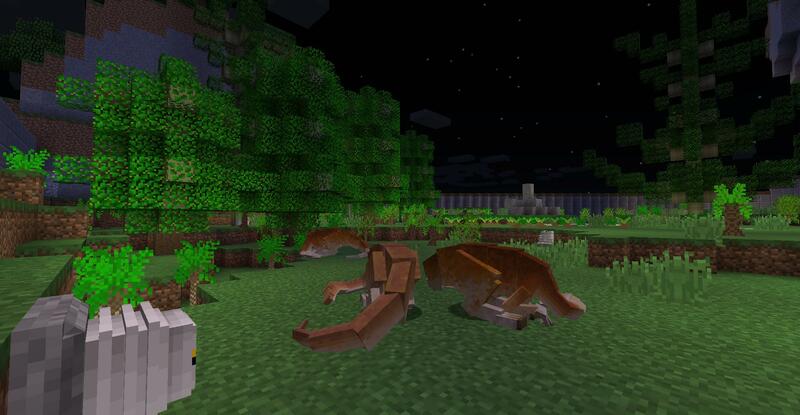 This mod contains many dinosaurs, as that is the main focus of this mod. Plants! If your dinosaur pen is empty, why not add some beautiful prehistoric plants to fill it up? Machinery! In order to create dinosaurs, you will need machinery. 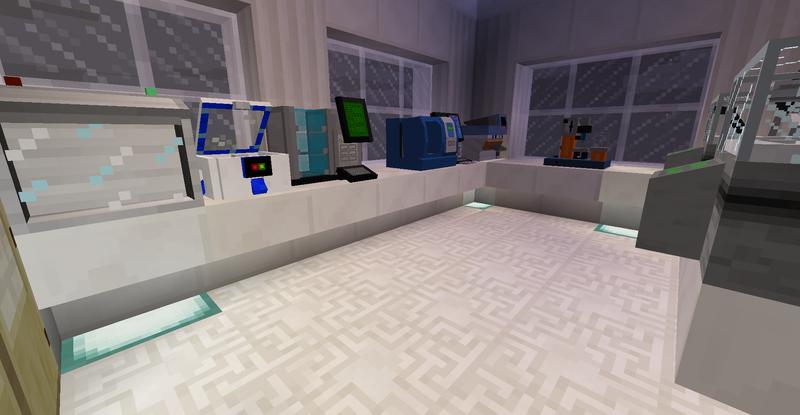 This mod contains many machines that will be useful in your journey to bring dinosaurs back! Decorations! Want to create a Jurassic Park? We've got you covered! 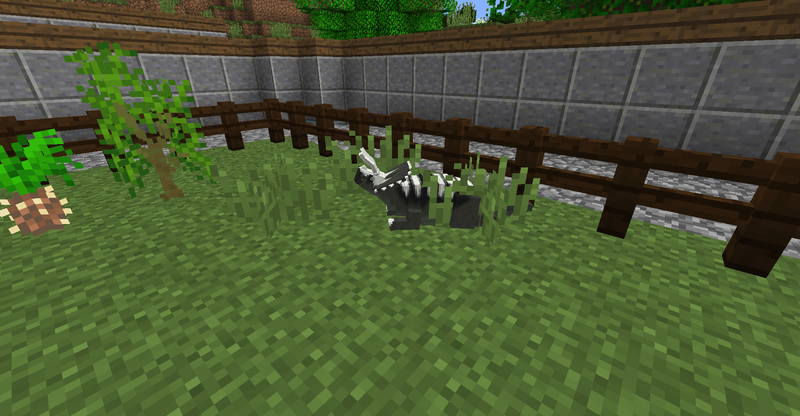 This mod contains many decorations you can use to decorate your very own Jurassic Park. Vehicles! Need to get around your park? Sure, we've got them! Fossils! To create dinosaurs, you'll need DNA, fossils are a perfect way to get DNA! Skeletons! Create your very own museum with skeletons, constructed with the fossils you find! Want to take a look at these dinosaurs before downloading? Take a look at our DeviantArt! This mod requires Minecraft 1.12.2 or 1.11.2. Install the latest Forge for the appropriate Minecraft version. This can be downloaded here. Download and install LLibrary 1.7.9+ for the appropriate Minecraft version. This can be downloaded here. Download and install this mod from the appropriate download link above. This mod wouldn't be possible if it wasn't for the amazing team that has dedicated so much of their time to this mod. Q: Will you down-port to 1.7.10? A: No, we do not support 1.7.10. Q: Can you add dinosaur X? A: We already have all the dinosaurs we want to add in future updates planned, and will likely not be changing those plans, but X may be in one of these planned updates. Q: When will the next update come out? A: We do not know, all we know is that we will release it once it is ready. Q: Where did all the dinosaurs from the 2.0 pre-release go? A: We removed them, we decided to rather focus on quality than quantity. Q: I am getting an OutOfMemoryError when I try to use JC! What do I do? A: You need to allocate more RAM to MC. This can be done by enabling advanced launch settings in your launcher and changing your VM Arguments.